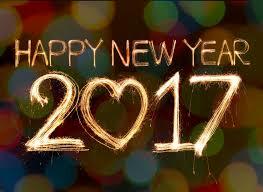 I sincerely hope 2017 is a good year for you and yours. I hope it brings calm and peace at the very least, but I know for many of you who are carers, one year will simply roll into the next. I don’t want to seem glib, but 2016 was the most amazing year for me as a blogger and offline writer too. Who ever would have guessed that people would start to read what I write about caring for the elderly and take me seriously? My day to day life is changing and I have made the huge decision to re-train in a new career. My blogging, social media campaigning etc, will remain the same, if not increase. My time closely observing the failings of the social care sector have made me extremely aware that those who can afford to make provisions for later life, need to assume the responsibility and do so. The NHS is unsustainable as it is in its current form, and private medical insurance will play a far greater part moving forwards in allowing those that can’t pay access to medical attention. My blogging and campaigning are my passion and life and I will have more time to focus on this and through my new career potentially make some difference to the lives of carers. My work with ITV with regards to elderly people being left hungry in care homes, is ongoing, and I am meeting with the researcher in the next few weeks. I will keep you posted. Thank you, Pauline. Last time I will probably enter as I think people are getting bored of me canvassing for votes!